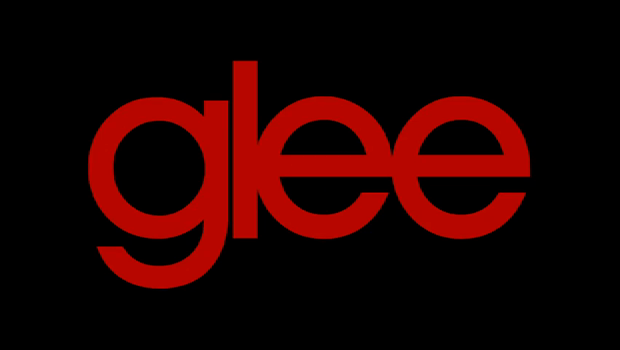 See more about Glee Club including our full final performance in the Glee page below this video. Year 1 junk percussion workshop. Year 1 listening to the Junk percussion man. 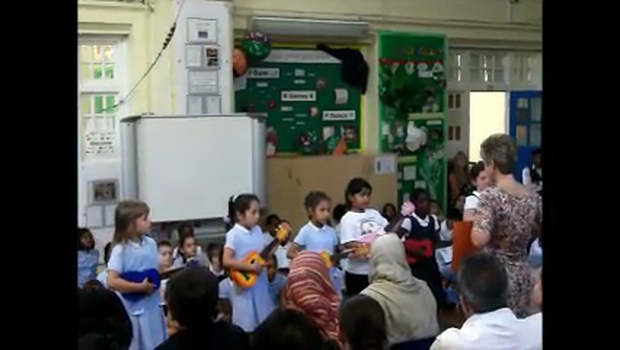 Nursery enjoy a music session with their parents. Red Hot group went to the Royal Festival Hall to see a super concert. They learnt about the special sounds of some of the instruments in the orchestra. Red Hot group walked over the River Thames on Hungerford bridge to reach the very big concert hall. 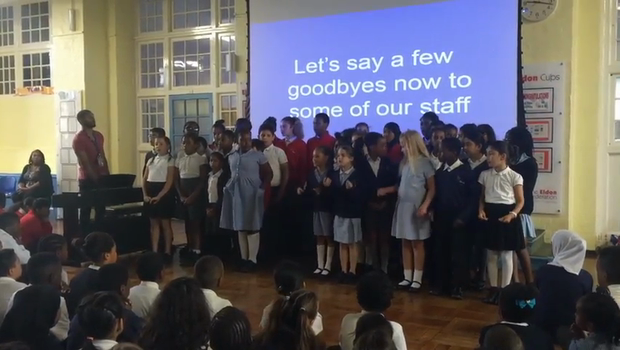 The Gifted and Talented of years 3,4,5 & 6 got together to make a song remembering how important it is to stick together as friends and family through school. After 5 weeks of practice they performed in front of the Junior school and staff before Easter break. Gamelan is a traditional Indonesian music ensemble. The word gamelan comes from the Javanese word 'gamel' which means hammer.